This song is pretty much an epic group of artists. 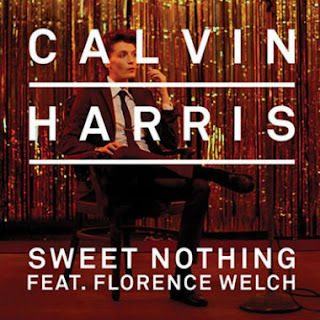 Calvin Harris is a singer, songwriter, and producer who had a big year, we all know the lovely red-headed singer Florence Welch of Florence + The Machine, and then there is the production beast Diplo. You know you are in for a treat when it's all on one track. Now, another form of music that has grown besides dubstep this past year, is trap music, which I like quite a bit more than the womp womps of dubstep. Thundering bass and intensity get thrown in this song called "Sweet Nothing," which of course Diplo, who likes to try all sorts of styles and genres, kills it on this remix. This song requires speakers up to max volume and for you to rage out on a Monday.